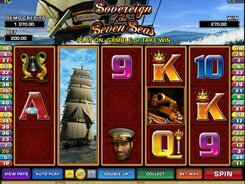 Ariana is a glamorous Microgaming-powered slot with five reels and fixed 25 paylines. It will take you to the underwater kingdom ruled by Ariana, a beautiful mermaid. The reels are set against the backdrop of a deep sea, with myriads of fish, corals and other aquatic inhabitants. A coin value comes in a range of $0.01 to $0.5, with up to 10 coins accepted per line. 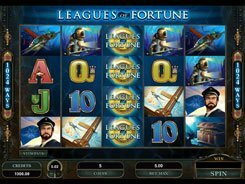 From there, the maximum wager amounts to $125 per spin, which is a good option for high rollers. The star fish serves as a scatter. 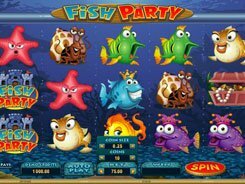 Once five land in any spot, you get the slot’s jackpot of x2500 times a total bet. 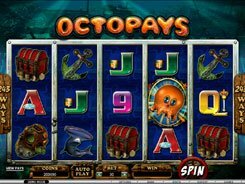 Besides, scatters activate 15 free spins that can be triggered again during the feature. 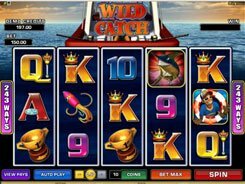 The slot’s highlight is the abundance of stacked symbols that contribute greatly to your winnings generating more winning combos. A stacked icon may occupy all the three positions on a reel, besides, it makes all matching symbols expand on the remaining reels. 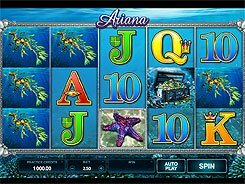 All in all, Ariana is an amazing aquatic-themed slot that provides a fruitful gaming experience not to be missed.